Are Uber's aggressive recruitment tactics legal? Uber has hired David Plouffe, a former campaign manager for President Obama with deep ties to the White House, to help it enter new markets and bolster its fight against taxi competitors. Plouffe managed President Obama’s 2008 campaign and then served as an outside adviser to the president. In 2011, when top White House adviser David Axelrod resigned, Plouffe replaced him. Uber now operates in around 170 cities worldwide but has faced regulatory challenges from governments questioning the safety of its service and its legality. 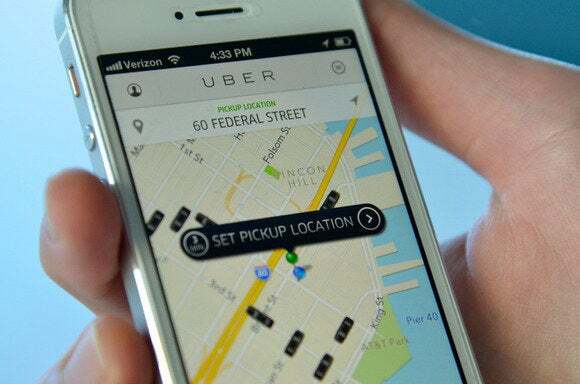 The San Francisco company has also faced backlash from traditional taxi operators over claims of lost business due to Uber’s convenient ride-hailing app. 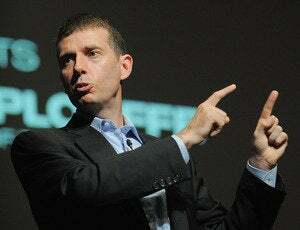 David Plouffe is leaving the White House to help Uber enter new markets with its ride-sharing service. With Plouffe on board, Uber hopes to better tackle some of those problems head on, particularly when it comes to the taxi industry. Kalanick identified Uber’s opponent as the “Big Taxi cartel,” which he said has used decades of political contributions and influence to restrict competition, and reduce choice for consumers. “I look forward to doing what I can right now to ensure drivers and riders are not denied their opportunity for choice in transportation, due to those who want to maintain a monopoly and play the inside game to deny opportunity to those on the outside,” Plouffe said in an Uber blog post. Plouffe’s official title will be senior vice president of policy and strategy. He’ll start in September and manage all global policy, political activities, communications and branding for Uber, the company said. Uber and a handful of other startups, like Lyft and Sidecar, are trying to disrupt the taxi industry and the market for other conventional forms of ground transportation. These companies let users of their apps request rides from people who aren’t credentialed taxi drivers. But it’s not uncommon for the company to face regulatory roadblocks as it enters new cities. And there are issues besides opposition from taxi operators. In July, city council members in Seattle legalized apps like Uber and Lyft, even while there were still questions about the adequacy of their insurance coverage. Uber, Lyft and Sidecar expanded their insurance policies earlier this year, but only for the periods between rides. The Taxicab, Limousine & Paratransit Association, a nonprofit industry group, was not as enthusiastic about Uber’s hiring of Plouffe. “If Uber would simply obey the law, it wouldn’t have to concoct a make-believe conspiracy in which politicians somehow attempt to keep them out of their cities, and it wouldn’t have to hire an expensive political operative,” said CEO Alfred LaGasse, in a statement. “By following the rules and meeting local public safety requirements like the rest of us, they wouldn’t need a ‘political campaign’ in the first place,” he said.